A brilliant ruckman whose playing career spanned a phenomenal 26 seasons, Jock Connell was a star of northern Tasmanian football in the decade leading up to the Second World War, and continued playing for more than a decade after the war as well. A prodigious kick of a football and renowned for his excellent high marking, Connell started his football career with the City Football Club in Launceston in 1929 at the age of 16, and in his second season he played in NTFA and State premierships with the club. Another premiership double followed in 1932, and the following year he was selected for Tasmanian duties for the 1933 National Carnival in Sydney. On the back of some good performances for his state, the offers soon came flooding in from numerous VFL sides; Connell however would reject each and every one, determined to remain in Tasmania. 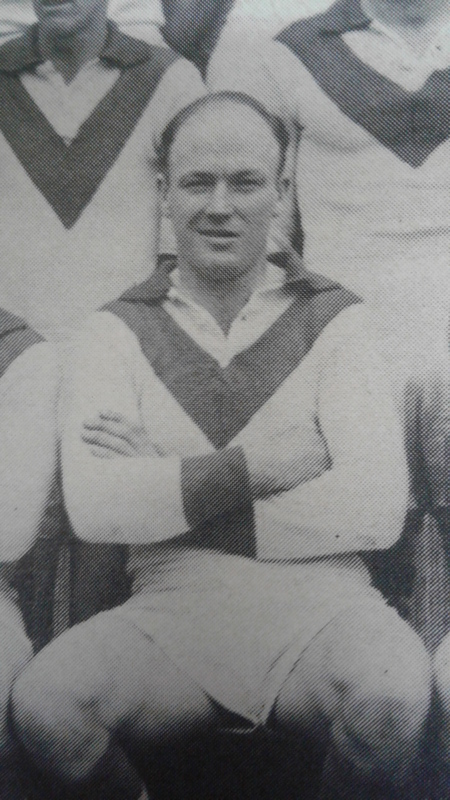 In 1934 he would win the first of two Tasman Shield Trophies as the best and fairest player in the NTFA, with a second coming in the City premiership year of 1939. The exploits of ‘Old Jock’ made him a hero of every City supporter, including a young boy by the name of Geoff Long, himself destined to be a great champion of the club. After a fourth NTFA premiership with City in 1941, football in the state was brought to a halt due to WWII. After the conflict, ‘Old Jock’ returned to City for two final seasons with the club in 1945-46, the first of which as captain-coach. His record with City was one of the finest in its history: 215 games, four best and fairest awards, six premierships (four league and two state) and being named vice captain in the club’s Team of the Century, where he was selected as first ruckman. After his departure from City, Connell spent two seasons as captain-coach of the Lefroy Football Club in the East Tamar FA, guiding the club to back-to-back premierships in 1947-48. In 1949 he made a comeback to the NTFA, strapping on the boots for two seasons with Longford. Injury would restrict his appearances for the Tigers, however he did occasionally show glimpses of his old genius, such as when he booted 9 goals in the opening round of 1950. He retired from senior football for good at the end of 1950, however he did not give up playing altogether. A hotelier by profession, he bought the Avoca Hotel in 1951 and spent a number of years involved with the Avoca Football Club in the Fingal District Football League, playing his final senior game in 1959 at the age of 46 and either playing in or coaching the club to premierships in 1951, 1952 and 1954.